Hi friends! I hope you are well! I am not. :( I'm on a 7 day round of antibiotics right now and I am feeling horrible! Thankfully, D is off work on Fri and Sat for his "weekend" and hopefully I'll have some time to recover. I should probably stop going out and doing things too. I always push when I'm sick, thinking that I can get lots done. Bad idea. Enough about me! Here's a card I made for the Love My Tapes Booth at CHA. 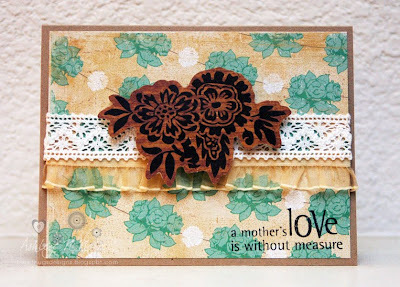 My favorite thing about this card is the beautiful trim I got from Creating is Fun. How pretty is that? The paper and sticker on this card are Crate Paper, the stamp is Unity Stamp Co, and the lace tape is the 21mm white from Love My Tapes. oh I love the trim too! So sorry to hear that you've been sick for so long. Here's a heart hug for you - ❤. Hope you can get some rest and recover. Lovely card too. great card, hope you are feeling better soon. sweet card Ashley. 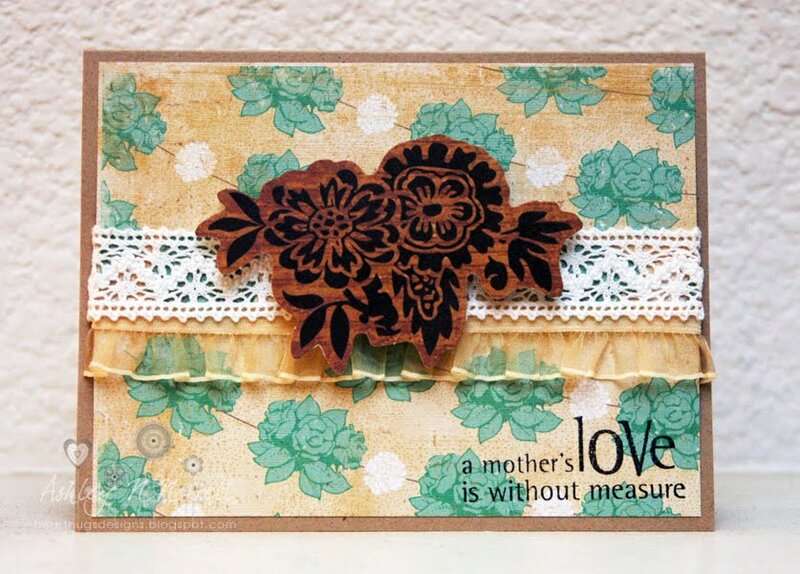 Love the sentiment and that lace tape.